Bubble Gang’s musical gag show Parokya Nato’: A Laugh Story is being staged for the second time. People first saw the production two years ago via a two-part TV special featuring songs from Parokya Ni Edgar. “When Bubble Gang’s Parokya Nato’ was shown in 2017, it was meant to be for TV. This time around, it’s a totally musical experience. No cuts, no second takes. 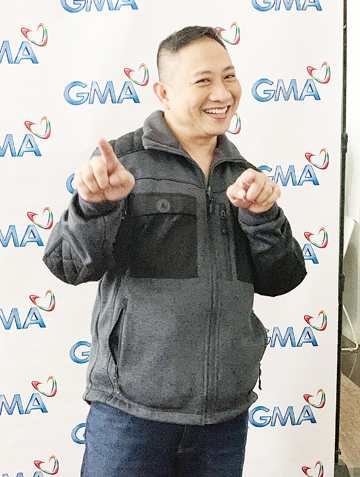 It’s a live production,” comedian and the gag show’s creative director Michael V shared with the press in a recent interview. “We needed musical theater discipline in preparing for the show and more importantly, we made sure that the material has been updated to adapt to the millennials particularly,” he continued. The live musical play is happening on Friday, Feb. 15 at the Waterfront Hotel and Casino, Lahug, Cebu City. This is a project of GMA Regional TV, in synergy with GMA Entertainment Group and GMA Pinoy TV, through the Kapuso Concerts. “As an artist, it’s really important for us to spread our wings. Musical shows are a hit these days and to merge it with comedy, for me, is a logical evolution,” Michael V explained. GMA RTV Vice President and Head Oliver B. Amoroso expressed his excitement to showcase Bubble Gang’s special offering in Cebu. “We are definitely looking forward to bring to Cebu one of Bubble Gang’s successful shows because as we all know, they are the Filipinos’ favorite comedy program because of their unique, amusing and extraordinary parodies, sketches, and gags. We can’t wait for them to see what our Kapuso artists have in store for them,” he said. Meanwhile, GMA Vice President for Business Development Department II Janine Piad-Nacar said that this event is their way of saying thank you to all the loyal viewers of Bubble Gang in Cebu. 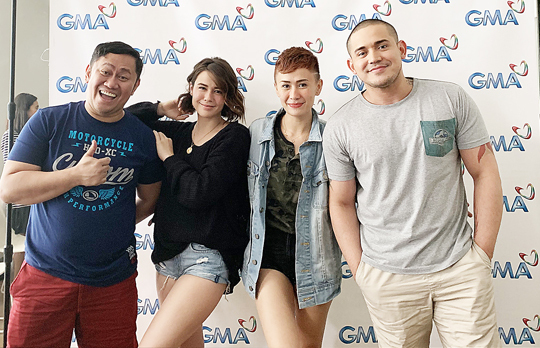 From left: Betong Sumaya, Valeen Montenegro, Chariz Solomon and Paolo Contis join Michael V and Kim Domingo (not in photo) in 'Parokya Nato’: A Laugh Story,' a comedy musical happening on Friday at the Waterfront Hotel and Casino in Cebu City. Bubble Gang Parokya Nato’: A Laugh Story is the story of a simple guy named Buloy (Michael V.), a die-hard fan who has built his dreams around an actress, Birdie Aguila (Kim Domingo) and the countless adventures he had to go through in order to fulfill his life-long dream to be her leading man on and off screen. “The songs and the plot are interwoven. You’d be surprised how our creative team was able to use a song, incorporate it in the story, as if it was created solely for the musical that we are staging. We are excited to do this especially that the musical was created with a specific person in mind when we were forming the characters,” Michael V shared. The cast includes Kim Domingo, Chariz Solomon, Valeen Montenegro, Antonio Aquitania, Paolo Contis, Jackie Rice, Denise Barbacena, Lovely Abella, Sef Cadayona, Betong Sumaya, Mikael Daez, Archie Alemana, Mikoy Morales, Analyn Barro, James Macasero, Roadfill Obeso, Myka Flores, and Diego Llorico. The program’s musical play is under the helm of esteemed stage director Rem Zamora; musical director and playwright Vince de Jesus; musical arranger Myke Salomon; and choreographer Dan Cabrera. Catch the second offering of GMA’s Kapuso Concerts with Bubble Gang Parokya Nato’: A Laugh Story at 8:00 p.m. on Friday. For inquiries, please call: (032) 232-6888, (032) 232-0048 and 09155353873. Tickets are also available online via SM Tickets (www.smtickets.com).